Self-driving cars, clean energy, augmented reality and gaming are just some of the latest technologies that make students and members of the community wonder what the future will hold. California State University, Northridge’s College of Engineering and Computer Science, and David Nazarian College of Business and Economics are co-hosting the fifth annual Art of Innovation Conference to give students and members of the community the opportunity to tap the innovative minds of the entrepreneurs who are creating the technology of tomorrow. The free event will take place from 8:15 a.m. to 1 p.m. on Friday, Oct. 13, in the Grand Salon of the University Student Union located on the east side of campus at 18111 Nordhoff St. in Northridge. This year’s keynote address will be delivered by Matt Peterson, president and CEO of Los Angeles Cleantech Incubator. 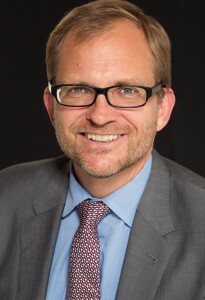 Peterson previously served as the first Chief Sustainability Officer for the City of Los Angeles, working with Mayor Eric Garcetti to make LA the most sustainable city in the nation. The event’s panels will feature professionals from industries including virtual reality, sustainability, new media, industry titans and thought leaders. Given the focus on sustainability from CSUN and the City of Los Angeles as a whole, as well as a panel on the future of transportation, conference organizers are excited to have Peterson kick off the conference, Holbrook said. Seating is limited, so those interested in attending should register online at the eventbrite website. For more information, contact Gandhi at sj.gandhi@csun.edu.